Attention all vintage loving ladies! 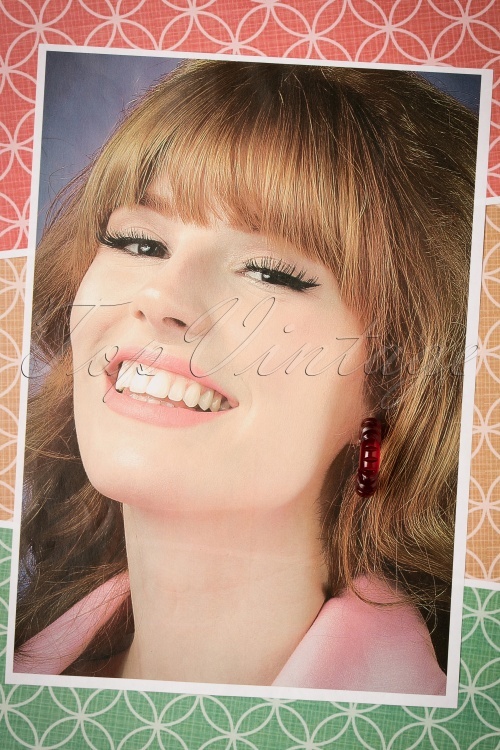 Complete all your retro outfits with these 30s Eileen Carved Earrings in Wine Red... exclusively available at TopVintage in this gorgeous transparent colour! 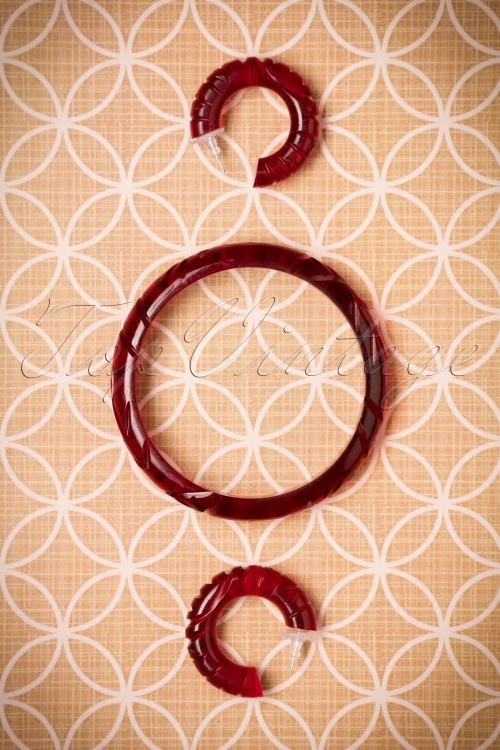 Inspired by the rare and original Bakelite pieces from the twenties and thirties! 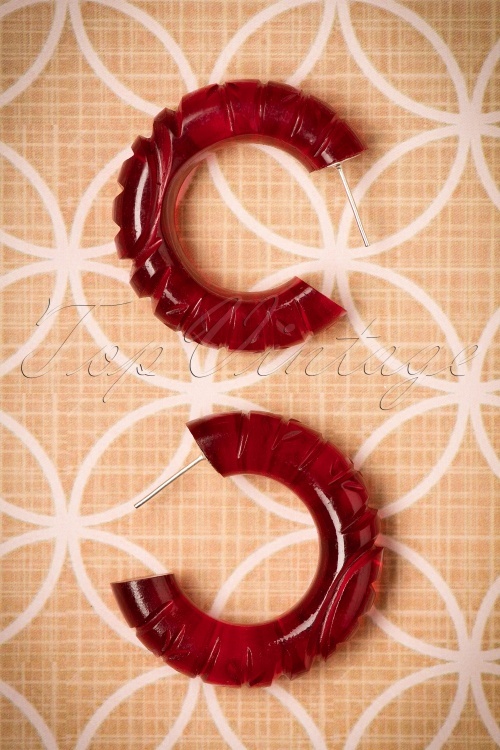 These round lightweight earrings with a vintage Bakelite look and feel are made from a high quality wine red transparent resin with carved details. Match these beauties with our similar bangles for a picture perfect, playful retro look!